With the push to reduce c-section rates, doctors facing challenging birthing scenarios may opt to use forceps or vacuum assistance to deliver babies. While these methods often result in successful vaginal births, they can cause serious problems for both mother and baby. About one-third of all babies born in the United States are delivered via cesarean, even though most women report a desire for a vaginal birth. Some experts claim this number is too high, pushing doctors towards natural deliveries to reduce c-section numbers. Yet this trend has dangers of its own. When a doctor does not feel free to use the c-section option and faces a challenging delivery, the alternative could be more dangerous. Some doctors are turning away from surgery in favor of riskier options like forceps or vacuum deliveries to help moms achieve a vaginal birth. Unfortunately, the push to reduce c-section rates is causing more potential problems for mothers and newborns. For the mother, forceps delivery often leads to third and fourth-degree perineal tears. For the baby, this type of assisted delivery can cause brachial plexus injury, which is damage to the nerves in the neck that causes problems with the neck and the arm. In more serious cases, the use of forceps can lead to catastrophic brain injury in the new baby. In one particular Canadian case, a gynecologist was found negligent when a forceps delivery caused catastrophic brain injury. The family was awarded $2.8 million. During childbirth, many women are not able to plan ahead for challenging birthing scenarios. They follow the recommendations of their doctors or the hospital staff as they work through the labor and delivery process. When the end result is serious injury to either the baby or the mother, new moms are often left to pick up the pieces emotionally and financially. 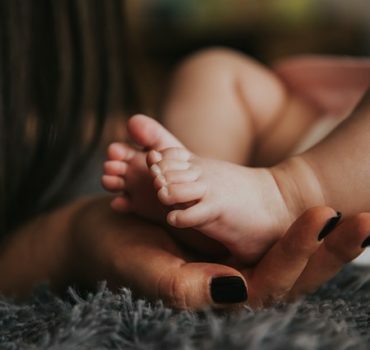 A birth injury lawyer often helps families recover compensation for their injuries, so they can focus on the needs of the new mother and baby.